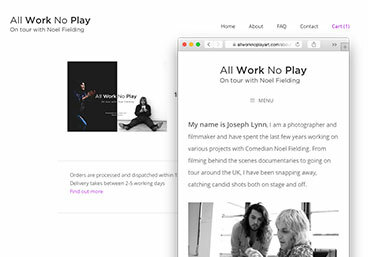 Joseph Lynn is a good friend and film-maker/photographer who toured with the comedian Noel Fielding during 2014. Throughout his time on tour he photographed a number of intimate moments both on and off stage and there was a strong demand for him to sell prints of his work. 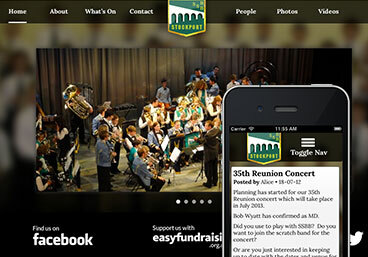 Stockport Schools’ Brass Bands (SSBB) was in dire need of a new site – a vibrant group of young and old who come together to create fantastic music, they wanted to be well represented on the web. 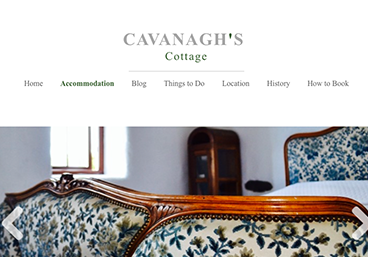 As well as having a powerful desktop site a mobile version that mirrored all the functionality was also very important. Every day hundreds, if not thousands of normal folk from around the world struggle to communicate with the pirate population, and with such a complex language most fail to ever understand what they’re trying to say. So there was only one solution – build an app to translate English, into Pirate English! 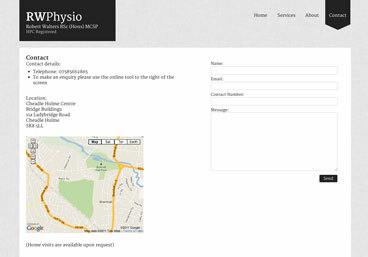 RWPhysio is a new business in the Cheadle area that serves to help those affected by sports-injuries and other problems associated with movement and mobility problems. To inform people about the business the company came to me to produce a sleek website and various print media. 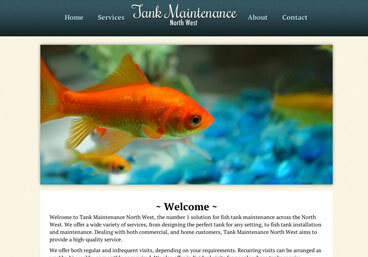 Local business Tank Maintenance North West wanted to launch itself into the industry with a professional marketing strategy and good-looking website. For that, they came to me to ask for a simple website that would properly convey their friendly and passionate business. 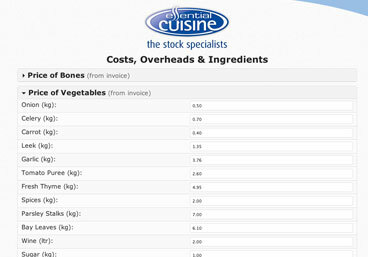 A market leader in the field, Essential Cuisine, wanted to create a sophisticated tool for showing chefs just how much money they might save if they used their products. 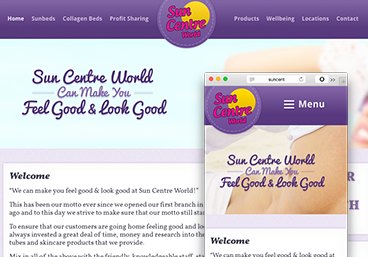 The result was a simple interface with a powerful core, to be used by company reps help prospective clients just how much better off they would be if they purchased from the company. Law students across the country were in desperate need of an aid to learning outside of the classroom. Something simple enough to use on the go, but effective enough to boost exam results. 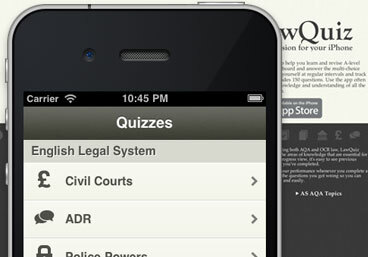 And so, using the skills of an experienced teacher, LawQuiz became the simple solution to an important problem. 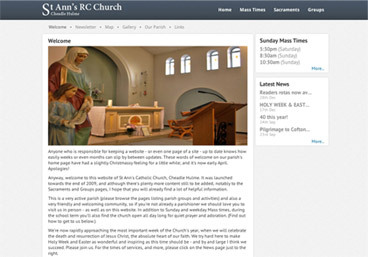 St Ann’s needed a refreshed website to allow members of the parish to update others about all the ongoing activities going on. 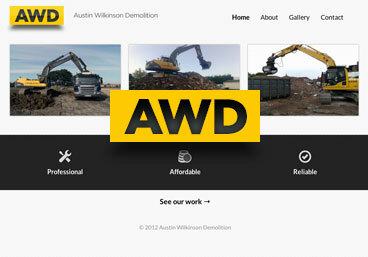 They wanted an easy to use and easily-maintained site tailored to some very specific needs. I was able to create a platform for them to publish and update content, while at the same time photographing the church for a gallery page. 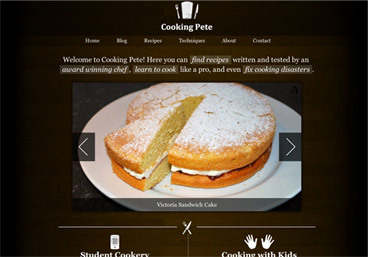 Award winning chef Peter Walters (yep he’s my dad) wanted a website to store all of his fantastic recipes, and the ability to blog about developments in the industry. He wanted a website he could easily update, and one that others would find useful. Getting the rankings on Google was therefore very important, and within the first week search results began to feature the site. 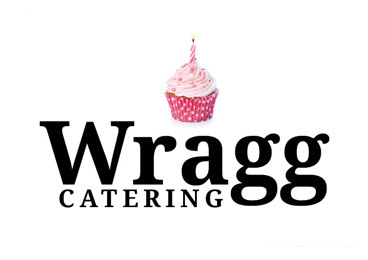 Wragg Catering was in need of some logo design love, as well as a new leaflet. So to encapsulate the business I decided a birthday muffin would do the trick, and they’ve been getting new business ever since. This project was to be completed very quickly, and with a turn-around time of just 2 weeks, they were very happy with the results. 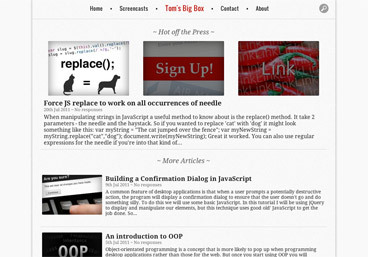 Tom’s Big Box is my own personal blog, and earlier this year I decided to give it a polish and redesign the blog. Not only is it a fully featured Wordpress theme, it’s also the place where I share all my solutions to tough technical problems I encounter when designing and developing my websites. When designing I decided to focus highly on the content, and so removed any visual noise.